Ok, this post is obviously a bit late, but better late than never. In October last year during my time in Shanghai, I felt I could hardly miss out on riding the fastest form of land based public transport available. 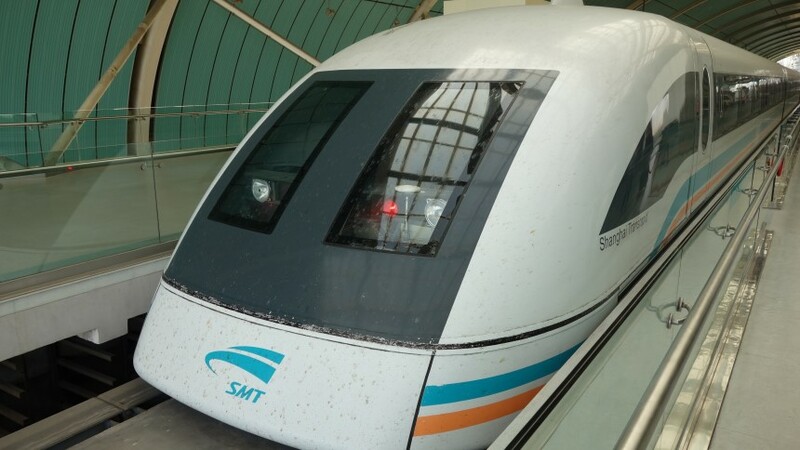 The Shanghai Maglev hits speeds of 431km an hour – which is fast. Very fast in fact, the normal Chinese high-speed trains only manage 303km an hour. The speed helps explain why the journey itself is so short, the ride, from Shanghai to the airport, takes only 8 minutes – although this does come with some caveats…. First the Maglev only runs at its advertised maximum of 431km for two small periods each day, the rest of the time it runs only at 301 kilometres an hour which is slower than China’s headline traditional high-speed trains. It’s snails pace really. Secondly, whilst its advertised as being an airport link, and does indeed run to the airport, it doesn’t really run into the centre of Shanghai. Instead you need to get either to or from the Maglev station at Longyang Road to the centre of the city by ordinary, boring, Metro. It’s also unsurprisingly more expensive than the metro, so in short, the only reason to ride this thing is to say that you have ridden it, and the only time it really seems worth riding it therefore is when its going at maximum speed. These times are subject to change but in October it was 0900-1045 and 1500-1545. Perhaps as a result of its impractical nature from an actual commuting point of view, it is geared up quite well for tourists, with several German tour groups and an American group on my train. 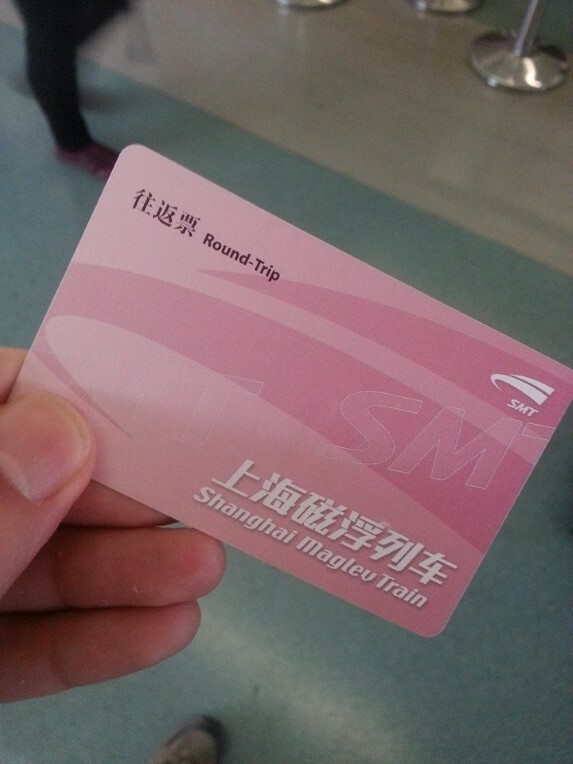 (Incidently the Maglev is essentially German technology built by Siemens) You can also get slightly more expensive “commemorative tickets” that you get to keep at the end of the journey as a souvenir rather than having them swallowed up by the ticket barriers. Or if you are sneaky, you can just follow the German tour group who are being let out of a side gate and keep your ticket that way….. There is a museum on the Maglev just under the station at Longyang Road. Like a lot of Chinese museums ,it does go into the technical detail rather a bit too much for someone with only a passing interest, but it is a good introduction and a way to kill time if you have to wait a bit for one of the “maximum speed” time windows to open. As for the journey itself – well – travelling at 431km an hour is cool, and the train itself looks as awesome as you would hope, it’s very wide and spacious, and as for the track – well I still can’t understand how the points work. Don’t expect a smooth journey though. It is remarkably turbulent and quite noisy. 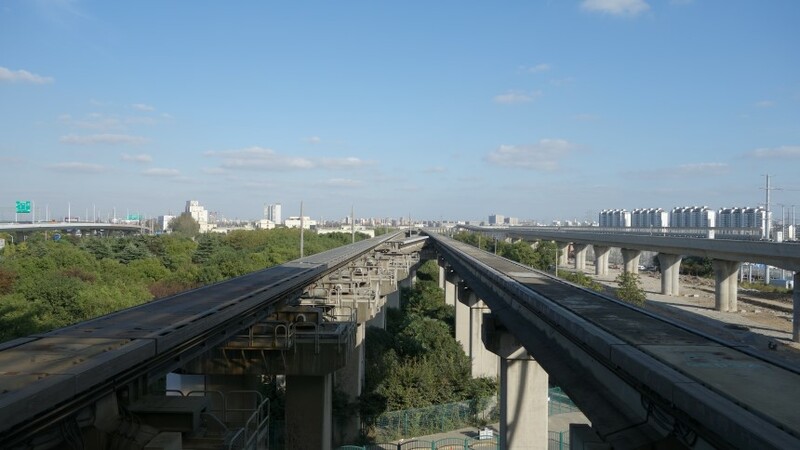 It’s easy to see why the Chinese decided to leave this Maglev experiment and focus instead on building traditional high-speed trains. Chinese normal high speed network (when it doesn’t crash) is incredibly smooth and quite in comparison. If you take this Maglev journey, I’d recommend doing it as a return. This lets you stare at the speedo for one trip and spend another window gazing. It’s best to sit on the side of the train next to the adjacent track. 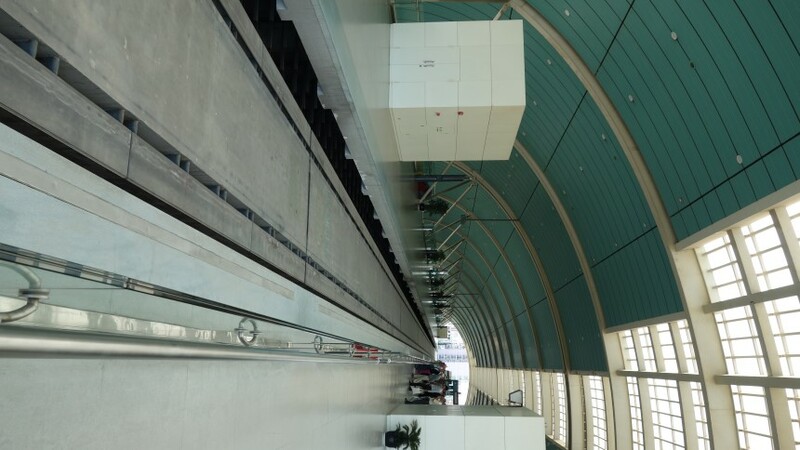 That way you will see the blur that is the other Maglev running in the opposite direction, going past with a closing speed of about 700km and hour…. The Maglev principle was developed in the UK. As usual others took it to the next stage; BR ATP and Italian Pendolinos spring to mind. You may also note the words BR Research & Derby in the piece below. Our commercial system at Birmingham International airport only reached 42kph and ran for 11 years; 1984 – 1995. “In the late 1940s, the British electrical engineer Eric Laithwaite, a professor at Imperial College London, developed the first full-size working model of the linear induction motor. He became professor of heavy electrical engineering at Imperial College in 1964, where he continued his successful development of the linear motor. Since linear motors do not require physical contact between the vehicle and guideway, they became a common fixture on advanced transportation systems in the 1960s and 70s. Laithwaite joined one such project, the tracked hovercraft, although the project was cancelled in 1973. The linear motor was naturally suited to use with maglev systems as well. In the early 1970s, Laithwaite discovered a new arrangement of magnets, the magnetic river, that allowed a single linear motor to produce both lift and forward thrust, allowing a maglev system to be built with a single set of magnets. Working at the British Rail Research Division in Derby, along with teams at several civil engineering firms, the “transverse-flux” system was developed into a working system. Hi Robert, yeah I remembered Birmingham had something – the museum did actually have a brief timeline of Maglev development which included the UK but it was all in Chinese. By being German technology I mean the system is built by Siemens as opposed to a Chinese company. I went to the Maglev and Rail Park in Nagoya today and that didn’t mentioned Maglevs outside of Japan at all!